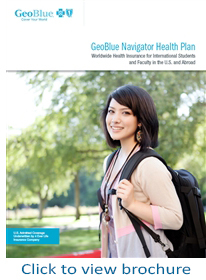 The Navigator delivers Worldwide health insurance and services for Students and Faculty - The GeoBlue Navigator health plan meets the needs of International Students and Faculty by offering comprehensive worldwide benefits - inside and outside the U.S. - without the typical limits, eligibility conditions and benefits exclusions common among traditional plans. The opportunity to study or teach abroad is for many the opportunity of a lifetime. Being properly prepared for unexpected events while abroad is the only prudent approach to International travel. GeoBlue Navigator is the premier health plan for students and faculty because it combines these benefits with concierge-level medical assistance and easy access to an elite community of carefully selected hospitals outside the U.S. and a network of over 700,000 doctors and hospitals inside the U.S. through the Blue Cross and Blue Shield Network. 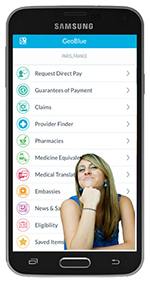 GeoBlue Navigator gives international students and faculty peace of mind, knowing they always have the freedom to access top medical care and benefits no matter where their ministries take them. GeoBlue plans provide a full range of medical benefits necessary to meet the expectations and situations for both outbound and inbound students studying outside their home country. In addition to the standard J-1 compliant offerings, a variety of optional benefits including mental health, sports injury and maternity coverage are also available. GeoBlue members have access to the Blue Cross Blue Shield network - the largest in the U.S. The 92% of doctors and 96% of hospitals participating allow for maximum convenience and flexibility for those in need of healthcare services. This network will bill GeoBlue directly so members don't have to worry about out-of-pocket expenses during care - whether it's inpatient or outpatient. GeoBlue has a clear knowledge of U.S. healthcare and a deep understanding of the confusion by those who are unfamiliar with it. GeoBlue's U.S. based customer service and medical assistance teams are readily available to help international members understand and navigate the U.S. healthcare system. GeoBlue representatives cover many foreign languages, allowing them to discuss coverage and personal topics with their international members in their native tongue. Previously the Navigator plans had four deductible choices - $250, $1,000, $2,500, & $5,000. Two NEW deductible options are available with the Navigator for Students. There is now a $0 (zero) dollar deductible and a $500 deductible option. Please note that the $0, $250 and $500 deductible options are compliant with the new student J-1 Visa program requirements that will take effect on May 15, 2015. Pre-Existing Condition - It is any medical condition, sickness, injury, illness, disease, mental illness, or mental nervous disorder, regardless of the cause, including any congenital, chronic, subsequent, or recurring complications or consequences related thereto or resulting therefrom that with reasonable medical certainty existed at the time of application or any time during the 12 months prior to the coverage start date of this policy, whether or not previously manifested, symptomatic, known, diagnosed, treated or disclosed. This specifically includes but is not limited to any medical condition, sickness, injury, illness, disease, mental illness, or mental nervous disorder, for which medical advice diagnosis, care or treatment was recommended or received or for which a reasonably prudent person would have sought treatment during the 12 months immediately preceding the coverage start date of the policy. The above verbiage is very unsettling. This is an example of a company who can dispute or deny just about any claim that is submitted. GeoBlue's International Student pre-existing clause is much more lenient and provides a common sense approach to pre-existing conditions. GeoBlue Pre-existing Clause: The GeoBlue Navigator Student plan does not cover services for treatment of a medical condition for which medical advice, diagnosis, care, or treatment was recommended or received during 365 days immediately preceding the member's eligibility date. "Creditable Coverage" The 365-day pre-existing conditions period can be reduced or eliminated if you have been covered by a creditable group or individual health insurance plan. If you have 12 or more months of creditable coverage, your waiting period will be eliminated. What About Coverage for Assignments short than 3 months? GeoBlue offers the Voyager Choice plan for students and faculty traveling outside the U.S. for short-term research, study and international experience. For study assignments inbound to the U.S., the minimum length of stay is 3 months under the GeoBlue Navigator policy. Make sure when you travel, you travel with a full service, travel health plan that provides a higher level of protection and peace of mind than standard evacuation memberships offer. If you are not sure about your current plan or one you are considering make sure you get a copy of your certificate of coverage and read it. Make sure you have a complete picture of what you are buying. Then cover yourself with the Power of Blue. 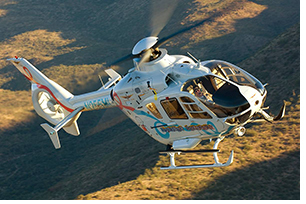 GeoBlue offers this type of comprehensive coverage and it is built into their Navigator Series of Medical plans. The GeoBlue mobile app puts their concierge-level service right in your hand. Manage your health wherever you are by searching for healthcare providers, requesting appointments, setting up direct billing and providing proof of coverage. Use the translation tool to help you schedule your doctor visit or ensure you’re getting the right dose of the right medication. With the app, you can also view security profiles and read travel alerts to make your journey safer. One of the requirements for foreign students planning to study in the U.S. is that they must maintain a health insurance policy that will cover them within the U.S. and there are minimal limits that are required. In addition there are requirements as to the financial stability of the insurance company that issues the policy. Below is the requirement and this comes straight from the U.S. State Departments Website… GeoBlue Navigator meets and exceeds both the U.S. State Department requirements and just about any other higher limits required by the school you may be attending. “Program participants and their dependents are required to have medical insurance coverage with the following minimum benefits [22 CFR 62.14]. Sponsors are to require that their participants (and any dependents entering the United States as holders of a J-2 visa) have insurance in effect during the period of time they are in the sponsor’s program. An insurance policy secured to meet the benefits requirements must be underwritten by an insurance corporation with an A.M. Best rating of “A-” or above, an Insurance Solvency International, Ltd. (ISI) rating of “A-I” or above, a Standard and Poor’s Claims Paying Ability rating of “A-” or above, or a Weiss Research, Inc. rating of B+ or above. Alternatively, the sponsor may ascertain that the participant’s policy is backed by the full faith and credit of the government of the exchange visitor’s home country. For other options, see [22 CFR 62.14]. Each year there are more the 1 million F, M and J non-immigrants to the United States for education and cultural exchange. The F-1 Visa is a type of non-immigrant student visa that allows foreigners who want to pursue a full program of study here in the United States. All F-1 students must maintain a full load course of study while attending the school. In order to receive an F-1 Visa you must first apply at your school of choice and receive a form I-20 in order to complete the F-1 Visa application process. In addition you must be able to support yourself while attending school here in the United States. The F category of visa is for academic student and not vocational students. If you are seeking to participate in an exchange program you may be eligible for the J-1 Visa category for exchange visitors. Click here for more on J-1 Visa. F-1 Visas are only issued at a U.S. Embassy or Consulate outside of the U.S. In order to acquire a F-1 visa you will need to make an appointment with a visa official at the nearest U.S. Embassy or Consulate. You are required to pay the U.S. government SEVIS fee to make this appointment. Be sure to bring your application materials, admission offer from the school selected, passport and immigration documents issued by the university to your appointment. It is in your best interest to receive this visa as soon as possible after your admission. For more information about the F-1 Visa program and other visa categories please refer to the links provided below. $30 office visit copay (reduced to $10 outside the U.S.
Coinsurance waived for care outside the U.S. Applications are available Online via the quote link above or you can download the application here. A personal check, money order or credit care number must accompany the application and must be sufficient to pay for one month of standard premium. GeoBlue will hold the form of payment until an underwriting decision is made. If your application is accepted, the payment will be applied to your account. Quotes obtained Online or by telephone are advisory only. Actual premium is determined by the medical underwriting department. GeoBlue will review your medical history as provided on the application and may request Attending Physician's Statement. GeoBlue publishes standard premium rates for non-smokers. Smokers and other applicants with certain medical histories may be offered a policy at a higher rate. Not all applicants will be accepted. Your effective date of insurance will be on the 1st or 15th day of the month following underwriting approval. 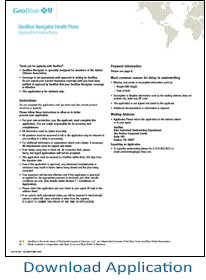 Download Paper Application, complete and return to us via email or regular U.S. Mail. U.S. Students and Faculty, planning on studying outside the U.S., applying from either an approved state or from outside the U.S. They do not impose recertification penalties for hospitalization.